Careful observers of the data and data processing tools we distribute in SolarSoft will notice we've augmented the version number of our SWAP prep code to 1.5 to reflect the recent changes. We'll detail the changes we have made in the way we process the data and the reasons for these changes below. 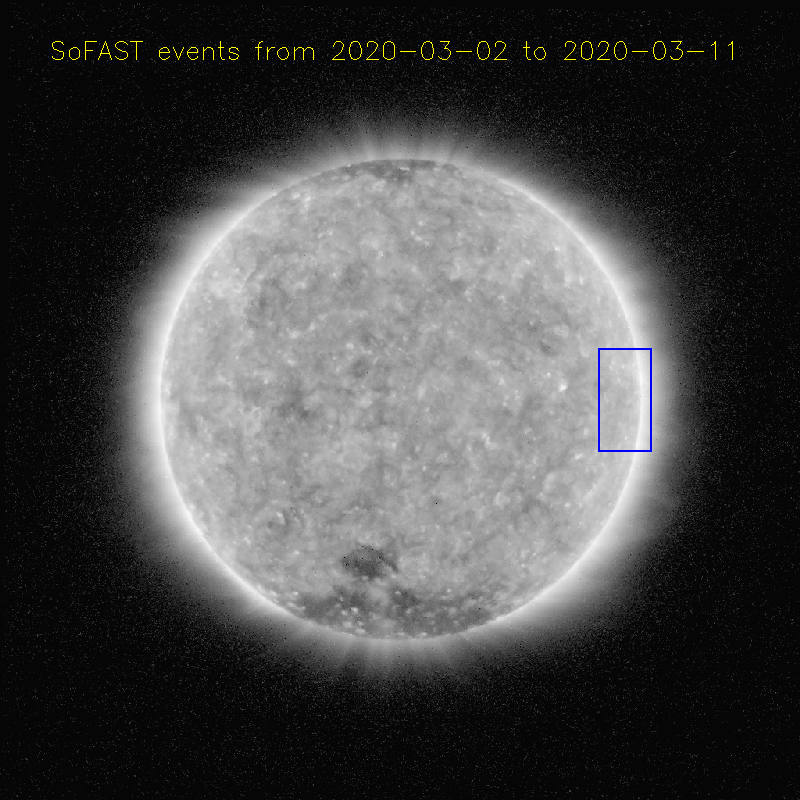 A thorough analysis of many images obtained over the many years the PROBA2 and SDO missions have overlapped revealed this relatively consistent offset, shown in the plot above. We attribute this to a very small offset in the mounting angle of SWAP in the PROBA2 spacecraft. 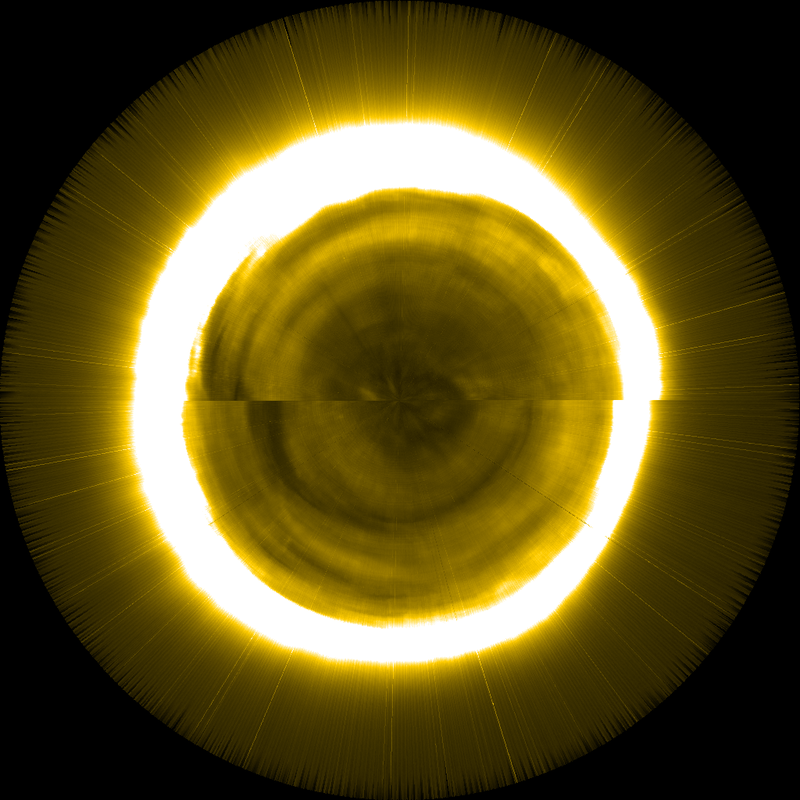 After a thorough analysis and discussions with the AIA team, we concluded AIA images are well aligned to solar north, so we now are applying this rotational to bring SWAP images to TRUE solar north. 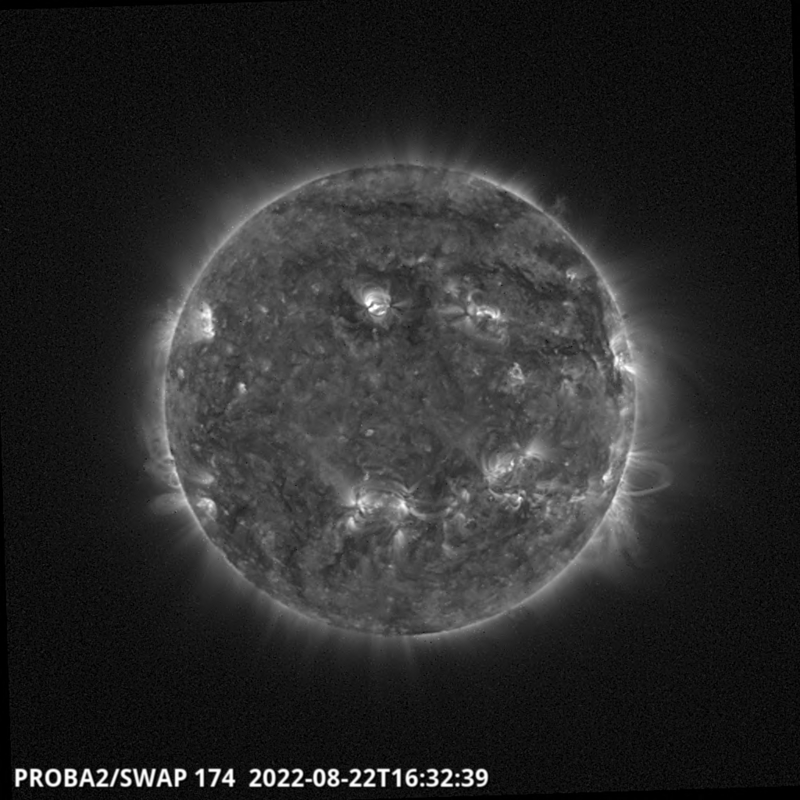 A quick look at Helioviewer confirms that this rotational offset has resolved the misalignment issues. A second — but much less obvious — issue we have worked on recently is the accurate measurement of the PROBA2 platescale, a measurement that is important to the corrections we apply to return SWAP's non-isotropic pixels to square. Although this correction was previously implemented during calibration using measurements made in the lab, careful viewing clearly revealed that the correction as implemented (a 0.3% resizing overall) was not quite sufficient to fully return proba2 images to 100% square. If PROBA2 were stationary at all times, this issue would be difficult to detect, even when matching PROBA2 images to those of other images. However, the spacecraft rolls 90 degrees every 25 minutes or so, meaning that the platescale also changes constantly. 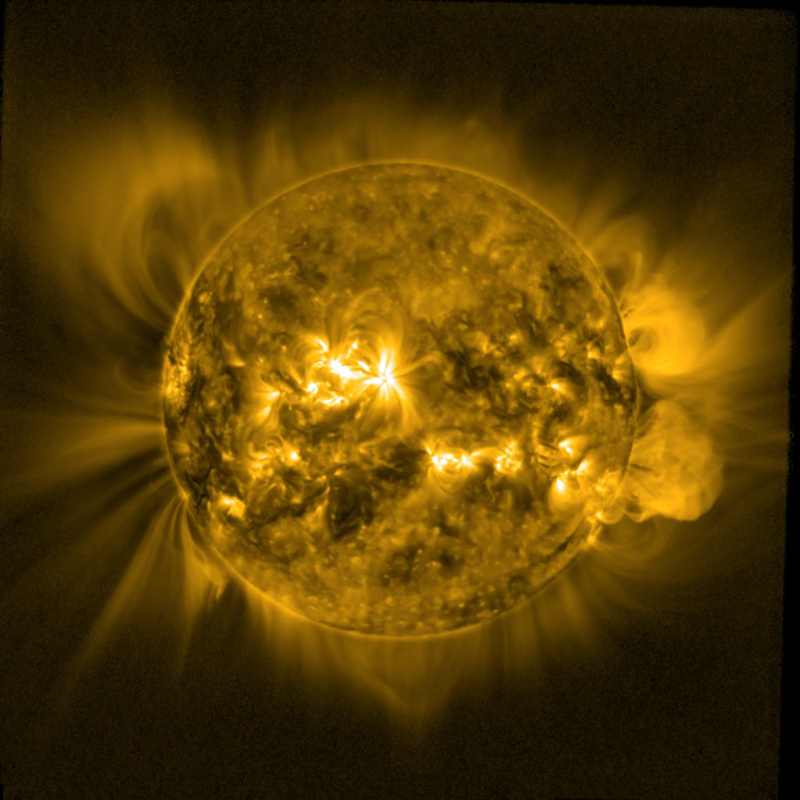 If we do not apply an accurate correction, the sun will subtly change in size in the image frame every time a roll occurs. The image above shows how we measured this factor, by testing the residual error in limb location for a variety of different values. 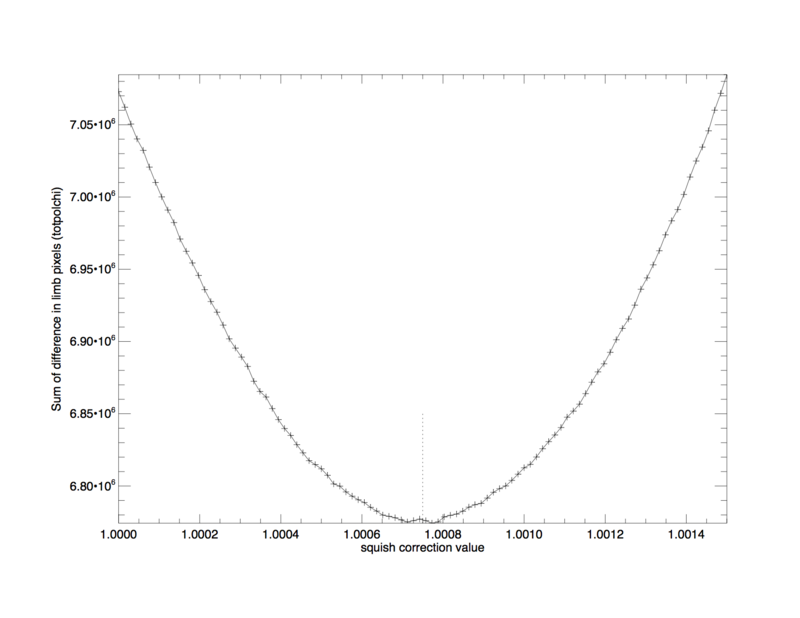 One clear value for this so-called squish correction stood out, and we have adapted the relative sizes of the platescale values in our FITS files to reflect this. 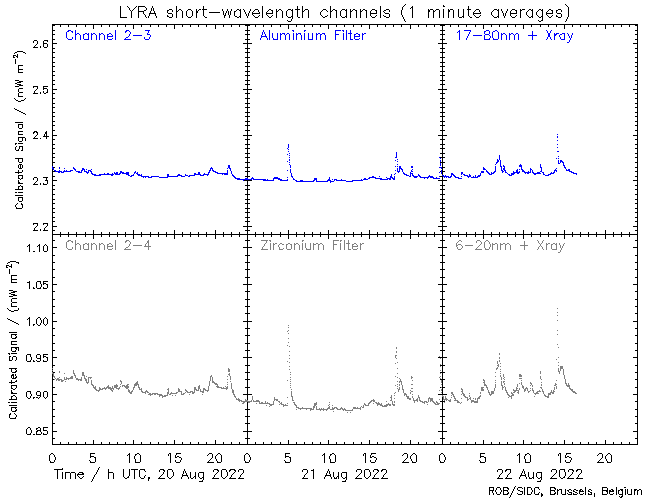 A secondary measurement used images from other observatories to adjust the absolute platescale, and the new resolution values in the FITS headers for SWAP images (CDELT1 and CDELT2) also reflect this correction. Note that, in addition to improving the appearance of SWAP level-1 (calibrated) images, these changes also affect level-0 images. Because many users may already have level-0 images with obsolete CDELT keyword values, the latest version of the SWAP prep software will correct these values if incorrect values are detected in older data. Upgrade your SolarSoft installation to take advantage of these improvements. Finally, we made a number of improvements to the method used to detemine the affine image transformation coefficients we use to actually adjust images during calibration. These improvements result in only the tiniest improvement in image quality, but a big increase in the transparency of our methodology for users who might seek to understand the inner workings of the codes or adapt our methods to their own images. The complete code, reflecting these changes is available online and in SolarSoft. For additional information about these latest revisions, you can contact the SWAP operations team at swap_lyra <at> oma.be.